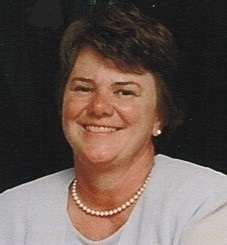 Elizabeth “Betsy” Girling Bullitt, 69, of Blue Bell, PA passed away on February 18, 2016. Betsy passed away surrounded by family and close friends after a seven month battle with lung cancer. Betsy was born in Ellenburg Depot, NY in 1946. She was adopted and raised by her parents, Wallace S. Girling and Martha F. Girling in East Williston, Long Island, NY along with her brother, Randall. She graduated from Garrison Forest School in Owings Mills, MD (Class of ‘64) and from Hollins College in Roanoke, VA (Class of ‘68). She enjoyed a long career as a Realtor in and around Philadelphia, most recently at Long and Foster in Blue Bell. She was a long-time member of the Philadelphia Cricket Club and the Mantoloking Yacht Club, past president of the Highgate Condominium Association in Blue Bell, and an avid Mahjong and tennis player. Betsy was the beloved wife of the late Logan M. Bullitt IV and was also preceded in death by her father, Wallace S. Girling, her mother, Martha F. Girling, her brother, Randall Girling and her in-laws, Logan M. Bullitt III and Mary H. Bullitt. Betsy is survived by her loving sons, Andrew S. Bullitt of Blue Bell, PA and Logan M. Bullitt V of Manchester, NH, along with her granddaughter Katherine E. Bullitt of Manchester, NH and her granddog, Shelby. Relatives and friends are invited to a memorial service for Betsy on Friday, April 22nd at 3:00 pm at the Church of St. Martin-in-the-Fields, 8000 St. Martin’s Lane, Philadelphia, PA 19118. In lieu of flowers, please consider a memorial donation to the Polycystic Kidney Disease (PKD) Foundation at P.O. Box 871847, Kansas City, MO 64187 or online at www.pkdcure.org/donate. Betsy’s family wishes to specially thank Merritt “Merf” Andruss, a best friend and guardian angel who was a constant source of support, both medically and emotionally each and every day of Betsy’s illness. It was our great pleasure to have known Betsy and the rest of her extended Bullitt family even though it was only for about 4 years. She was always such a pleasant person to be around. You will be missed but certainly never forgotten.